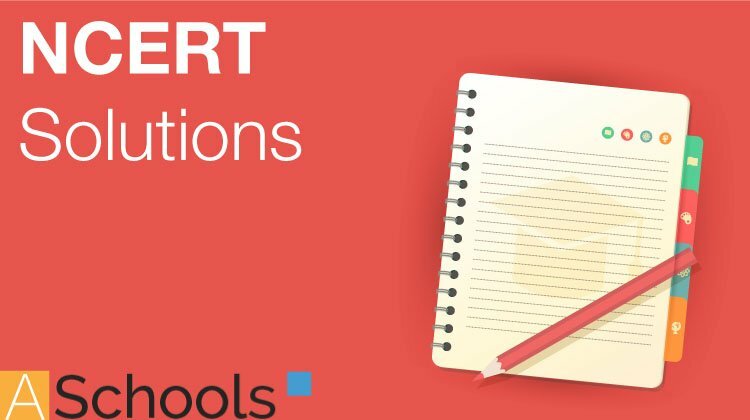 Get here NCERT Solutions for Class 11 Chemistry Biology 19. 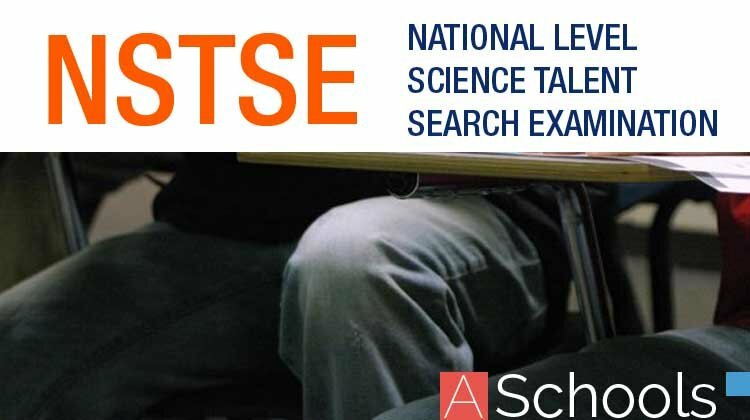 These NCERT Solutions for Class 11 of Biology subject includes detailed answers of all the questions in Chapter 19 – Excretory Products and their Elimination provided in NCERT Book which is prescribed for class 11 in schools. Answer Glomerular filtration rate is the amount of glomerular filtrate formed in all the nephrons of both the kidneys per minute. In a healthy individual, it is about 125 mL/minute. Glomerular filtrate contains glucose, amino acids, sodium, potassium, urea, uric acid, ketone bodies, and large amounts of water. Answer The mechanism by which the kidney regulates the glomerular filtration rate is autoregulative. It is carried out by the juxtaglomerular apparatus. Juxtaglomerular apparatus is a microscopic structure located between the vascular pole of the renal corpuscle and the returning distal convoluted tubule of the same nephron. 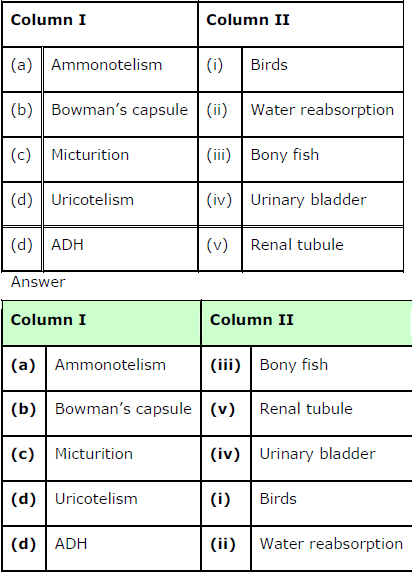 Answer The counter current mechanism operating inside the kidney is the main adaptation for the conservation of water. There are two counter current mechanisms inside the kidneys. They are Henle’s loop and vasa rectae. 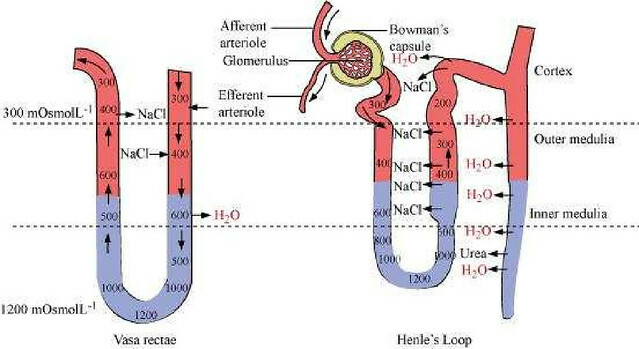 Henle’s loop is a U-shaped part of the nephron. Blood flows in the two limbs of the tube in opposite directions and this gives rise to counter currents. The Vasa recta is an efferent arteriole, which forms a capillary network around the tubules inside the renal medulla. It runs parallel to Henley’s loop and is U-shaped. Blood flows in opposite directions in the two limbs of vasa recta. As a result, blood entering the renal medulla in the descending limb comes in close contact with the outgoing blood in the ascending limb. The osmolarity increases from 300 mOsmolL -1 in the cortex to 1200 mOsmolL -1 in the inner medulla by counter current mechanism. It helps in maintaining the concentration gradient, which in turn helps in easy movement of water from collecting tubules. The gradient is a result of the movement of NaCl and urea. Answer Liver, lungs, and skin also play an important role in the process of excretion. Role of the liver: Liver is the largest gland in vertebrates. It helps in the excretion of cholesterol, steroid hormones, vitamins, drugs, and other waste materials through bile. Urea is formed in the liver by the ornithine cycle. Ammonia – a toxic substance – is quickly changed into urea in the liver and thence eliminated from the body. Liver also changes the decomposed haemoglobin pigment into bile pigments called bilirubin and biliverdin. AnswerMicturition is the process by which the urine from the urinary bladder is excreted. As the urine accumulates, the muscular walls of the bladder expand. The walls stimulate the sensory nerves in the bladder, setting up a reflex action. This reflex stimulates the urge to pass out urine. To discharge urine, the urethral sphincter relaxes and the smooth muscles of the bladder contract. This forces the urine out from the bladder. An adult human excretes about 1 – 1.5 litres of urine per day. 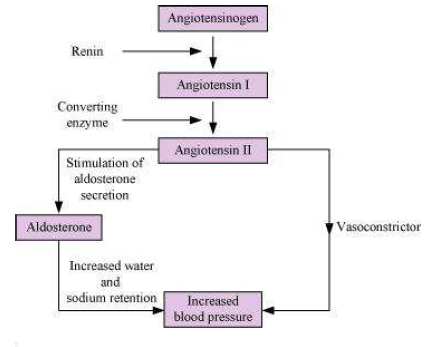 Answer Osmoregulation is a homeostatic mechanism that regulates the optimum temperature of water and salts in the tissues and body fluids. It maintains the internal environment of the body by water and ionic concentration. Answer Juxtaglomerular apparatus (JGA) is a complex structure made up of a few cells of glomerulus, distal tubule, and afferent and efferent arterioles. It is located in a specialised region of a nephron, wherein the afferent arteriole and the distal convoluted tubule (DLT) come in direct contact with each other. The juxtaglomerular apparatus contains specialised cells of the afferent arteriole known as juxtaglomerular cells. These cells contain the enzyme renin that can sense blood pressure. When glomerular blood flow (or glomerular blood pressure orglomerular filtration rate) decreases, it activates juxtaglomerular cells to release renin. Answer (a) Amphioxus is an example of a chordate that has flame cells as excretory structures. Flame cell is a type of excretory and osmoregulatory system.